For Women. By Women. About Women. Experience the #1 Financial Conference in Nevada! 2016 Edition of the Women’s Money® Guidebook and PLUS Hundreds of FREE Resources. Real Life Strategies from Real Women Like You! Find out what REALLY works. Especially when you know how to make your money work for you. You are not alone! MANY women, just like you, are dealing with money challenges, and it's no wonder! 84% of women say they are not getting the financial messages they need to feel confident and secure with choices in managing and growing their money. As a result, 90% of women are mostly or completely unprepared for retirement, 1 out of 3 women is living in or on the brink of poverty, and 3 out of 5 women can't pay for their basic needs. We are here to help you find your path to making your money work for you, and to provide you with the security and freedom your money is supposed to give you. stopping the paycheck to paycheck lifestyle? 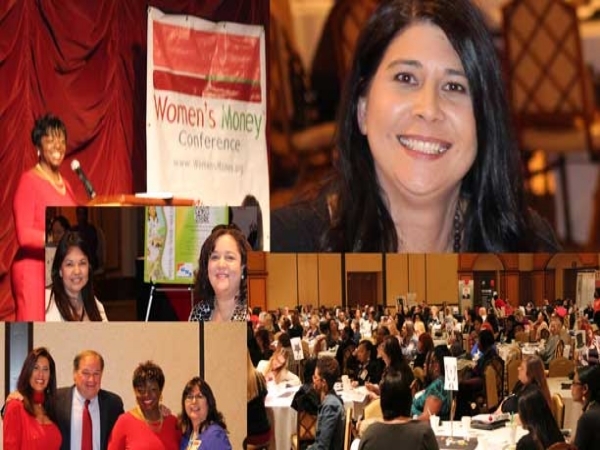 The #WomensMoney Conference is a full day with experts learning the simple financial steps to get you closer to a life that is free of money worries. Develop your simple plan to achieve your dreams and live a financially comfortable, worry-free life. We are attracted to money not for what it is but for what it can do. Money provides a sense of security. It makes us feel safe. It provides opportunities for education, comfort and leisure. Money is one pathway to a better life for ourselves and those we love. When we begin to manage our money, we have the opportunity to dramatically impact the lives of ourselves and others in unimaginable ways. We have the power to change the world around us by supporting our dreams and goals. Yomi Abiola is a Social Entrepreneur, journalist and thought leader. At the core of Yomi's work is diversity, inclusion and female empowerment. As an international speaker, Yomi has presented at Harvard, Yale, MIT, the United Nations and TED. Yomi's commitment to change was born from watching her father's political journey. MKO Abiola was the first man to win a free and fair election in Nigeria. As a Change Agent, Yomi focuses on the empowerment and advancement of women and girls. She is committed to preparing women to identify and cease opportunities for exponential growth. As the first African face for Maybelline cosmetics, Yomi has graced the pages of Vogue Italia, British Elle, Harpers Bazaar. Yomi is the founder of Stand Up For Fashion (STUFF), a global platform that promotes social accountability and responsibility in the fashion industry. Is your money working "for" or "against" you? Each dollar you earn needs direction...like a job description. What do you want your money to do for you? In this session, we work on simple, but effective strategies to track your spending and learn more about your income and expenses. Ger more from your money starting today! Debt freedom expert Jackie Beck is a personal finance author and creator of the app store hit Pay Off Debt, an app that’s helped 46,000+ people use a debt snowball to break free from debt. She started The Debt Myth website in 2011 because she’s passionate about helping others who want to change their financial life. After struggling with debt for years, Jackie learned that the key to getting control of her finances was to become aware of how she spent her money. She started paying down debt, built an emergency fund, and began contributing to retirement with a vengeance. Jackie and her husband Miles became completely debt free (including their house) in August of 2012, after paying off more than $147,000.00. Do you know the secret to getting rich and staying rich? It’s your credit score! Find out how a solid score, a strategic credit plan, and identity protection strategy can save you thousands of dollars a year. everyone gets a free copy of mary beth's book!! Mary Beth Storjohann, CFP® is the founder of Workable Wealth and is a writer, speaker and financial coach working on a national level to help individuals and couples in their 20s, 30s and 40s make smart, educated decisions with their money. Known for her knack of breaking complicated money topics down to the basics, Mary Beth applies a no-nonsense approach while keeping things fun and engaging. Mary Beth has been a featured expert in financial publications across the country. She frequently appears on NBC and has been featured in The Wall Street Journal, Forbes, U.S. News & World Report, Yahoo! Finance, MSN Money and more. Her first book, Work Your Wealth: 9 Steps to Making Smarter Choices With Your Money (March 2016) cuts through the fancy lingo, breaks down complicated topics and provides clear-cut guidance on the money moves you can make to improve your financial situation right now. Mary Beth has been recognized as one of the 10 of the Best Personal Finance Experts on Twitter from Benzinga, one of the 37 Personal Finance Experts to Follow on Twitter by U.S. News & World Report MoneyTo connect with Mary Beth, head over to www.workablewealth.com or find her on twitter @marybstorj. Everyone Gets a FREE copy of Mary Beth's Book! Real Women. Real Life. Real Strategies. everyone gets a free copy of this book! 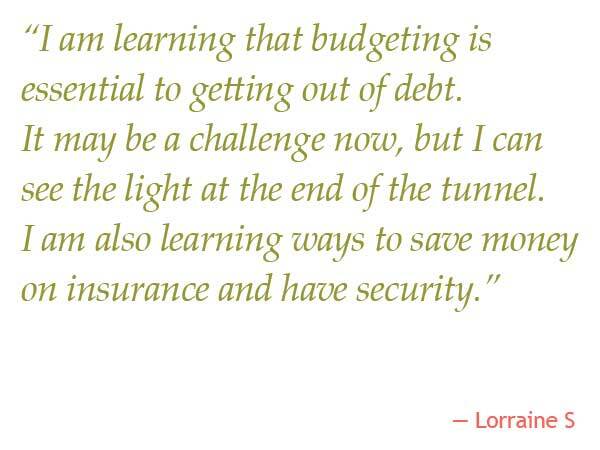 Engage with a panel of women in the mentoring program who share the real-life strategies that have worked for them to get out of debt and save more money. Your debt and your savings goal go hand-in-hand. When it comes to saving money in this paycheck-to-paycheck world, it’s hard to know where to find it, how to save it, and where to put it. These women share their solutions to those hard decisions. Many people want a safe home for their family and a good, solid career choice they can count on. We want that for ourselves and our family members. We'll engage in a lively discussion with agencies providing services how you can obtain the home and career of your dreams.